Imagine having a fun and financially rewarding career as a closet organizer, getting paid to find creative solutions for closet challenges. Do you like to bring order and refinement to spaces? Can you diagnose and treat storage problems no matter the size? Many people have so much stuff that they have no idea where to put it all, or if they should part with it. As a professional closet organizer, you will help people turn their overflowing closets into practical and accessible spaces. You might work your magic in a variety of environments including: bedrooms, children’s rooms, offices, and entryways. Busy professionals, elderly couples, and large families are all examples of people who might benefit from your services. As the owner of a closet organizing business, you will have the freedom to choose the types of clients and spaces you want to work with, and enjoy the financial rewards of being your own boss. For example, if you work in a home with a large walk-in closet you could earn up to $500 or more for the project. As long as you have the desire, you can become a closet organizer. No special education or experience is necessary to break into this career and succeed. If you would like to be paid to organize closets, the FabJob Guide to Become a Closet Organizer is for you! 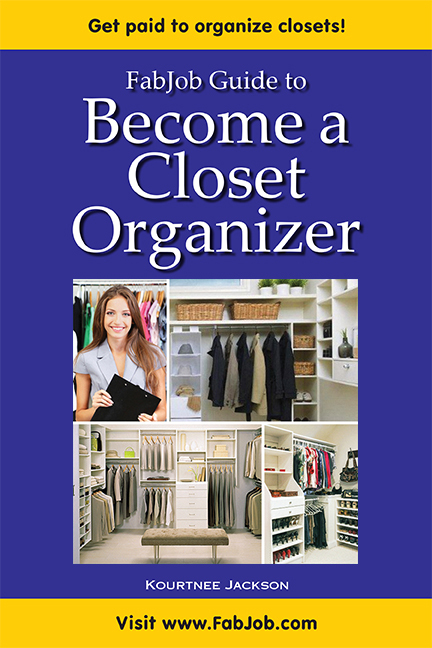 In this e-book you will discover how you can start your own professional closet organizing business and succeed in this exciting career. Information about business matters affecting closet organizers such as setting up a home office, licenses, insurance, etc. What is an average hourly rate for closet organizers? You can have all this and more for an incredible special price. People pay hundreds of dollars for courses on how to start a business, without specific information about starting a closet organizing business. The FabJob Guide to Become a Closet Organizer contains some of the best career advice you could get from other sources, plus much more. The information in this guide can save you many hours of research, help you avoid some costly mistakes, and give you information you need to start your own closet organizing business. 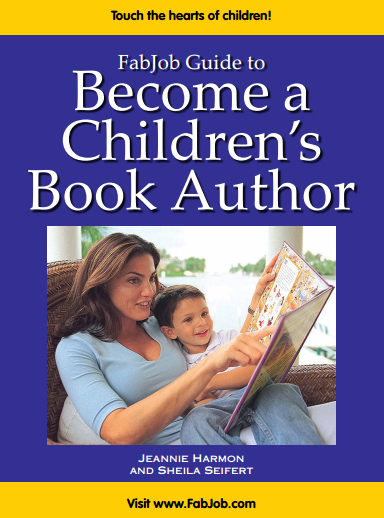 FabJob guides have sold for up to $39.95 U.S. for an e-book alone. 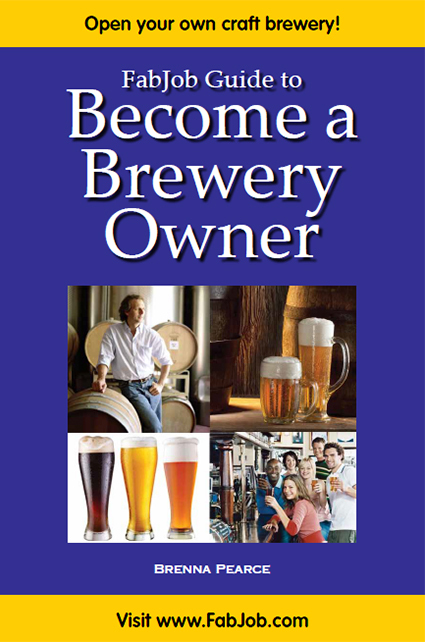 SPECIAL OFFER : If you buy the e-book today and you can have this valuable insider information for the incredible price of only $19.97 U.S..
You will earn back much more than the price of the guide with your very first closet organizing job. 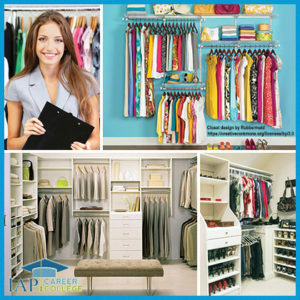 And with this guide you can get hired much more quickly, and get many more closet organizing jobs. If you believe you deserve to have the career of your dreams, this guide is for you. 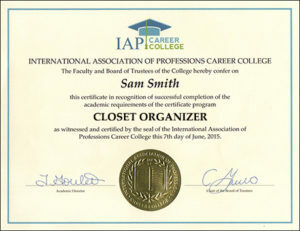 It gives you what you need to know to start your own closet organizing business and get hired as a closet organizer. We are so confident that this guide can help you achieve your dreams, we will give you a refund if you decide within 60 days of purchase that you are not satisfied with the information contained in the guide.